A colleague stands knee-deep in the (new) Garrison Creek Sewer, where it passes beneath the curve of College Street and snakes southwest towards Fred Hamilton Park. This section of sewer was likely installed c. 1912, and shows the progression towards concrete construction. It was a great privilege to find our way into Garrison Creek, the city's most legendary lost river, which lives on today as one of its most awe-inspiring sewer systems. The Garrison was a waterway memorialized as "the pretty purling brook" in a short newspaper brief noting its final burial in beneath the Christie Pits, but whose absence otherwise went little noticed until the 1980s, when to new urban ecology campaigners the loss of the Garrison became symbolic of everything that had been done wrong in the city's approach to wastewater. These campaigns provoked the signage project that marks the course of the creek from St. Clair to the old waterfront, they drove an unrealized proposal in the 1990s to construct a network of surface ponds as a first step towards daylighting the creek, their interests and sensibilities are perhaps best captured in the incredible documentation collected at Lost Rivers, and they live on in the annual Human River event that brings together interested people in the west end to trace on the surface the Garrison's forgotten path. And despite the choice by newspaper writers and the City of Toronto to refer to the Garrison as a creek "which no longer exists," 1 it is a waterway that very much does still exist, both beneath our feet and in the character of everything that surrounds it. From the beginning, Toronto's Garrison Creek was as central to the city's development as the protected harbour to the east. The steep walls of the Garrison ravine at its mouth provided a natural fortification for the rear of Fort York, established by the British in 1793 to protect the harbour of the then-Town of York from American attack. The path of the creek has shaped so much of what came after it — the city's street plan, the situation of early industries, the location of schools. The creek remains most apparent on the surface in the wandering line of parks that anchor the neighbourhoods of the west end from Christie Pits in the north to Stanley Park just above the fort, and from Dufferin Grove and MacGregor Park southeast to Bellwoods. The character of these neighbourhoods today owes as much to the creek's previous existence as to its modern absence. By the 1880s, as the city expanded westward, the pollution of the creek became an increasingly pressing issue in municipal elections. In 1881, the city had the Garrison Creek straightened between Queen Street and the Western Stockyards (north of Fort York), probably with the aim of increasing the flow and alleviated the concerns already being expressed about the fouling of the creek. 2 Whatever the aim (and the straightening might equally have been designed to rationalize and improve the properties along the waterway), the exercise failed to stem the calls for stronger action. With all these considerations no doubt strengthening their case, in 1884 the council was able to convince lawmakers in the provincial parliament to pass special dispensation that allowed the city to take on the debt necessary to finance such a large project. 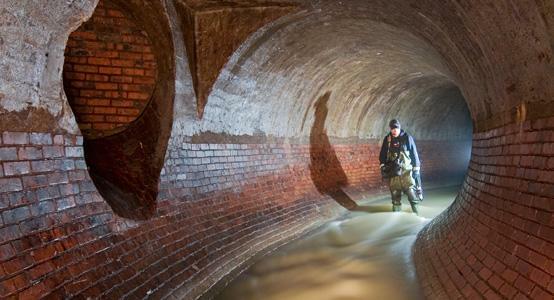 "I have always offered to give freely the right of way for the sewer... I only asked that when the sewer was completed the Board of Works should restore my grounds as before. This most reasonable request the board, with that eminent sense of justice and fairness so characteristic of them, refused to accede to, and arbitrarily declared their intention of taking the whole creek into their sewer instead of the overflow. I advised the board that this overflow was as much as they could manage with their sewer, as designed, and that they should finish it, turn into it the sewage that has lately invaded the stream, and allow the creek, freed from sewage, to flow on as before, pure and wholesome." Much of that northern section of sewer for which Godson was the contractor responsible ultimately needed to be rebuilt, and within thirty years would be largely superseded by the new Garrison Creek Sewer and the High- and Low-Level Interceptor system. Meanwhile, the work of the southern contractor, Alan J. Browne, was appraised and vindicated, and he was quickly rehired to complete an additional section of sewer from Wellington to the then-lakeshore. 13 I believe that Browne's sections remain in place today as an overflow sewer running from the High-Level interception chamber beneath the Trinity-Bellwoods tennis courts to the old lakeshore near the southwest corner of Fort York, where a newer pair of concrete ducts was installed to carry the sewer beneath new landfill to an outlet at the Bathurst Street quay. 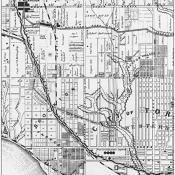 By the early 1890s, the Garrison Creek Sewer extended north to Bloor Street, and a western arm drained the area of the Dennison Stream from Bloor Street south through the Dovercourt Swamp to the main sewer at Bellwoods. While in the short term the construction of the Garrison Creek Sewer may have addressed the city's most pressing water quality concern, its builders and the city they served appear to have had only a limited sense of the ongoing inadequacy and periodic crises that would accompany municipal sewerage in Toronto (and throughout North America, as our city was by no means exceptional in this regard) right through to the present day. The apparently innocuous decision to 'cover over' our urban 'nuisance' watersheds was an easy one to make, but the ultimate costs and failures of this strategy would have made the city's early politicians blanch, constrained as they were by a funding model as inadequate to the needs of the time as the one in place today. Of course, having made the foul creek disappear, the city was now left with a ravine stretching from the heights at Oakwood down to the Garrison itself and in a variety of states and conditions. In some places, the ravine had yet to be seriously touched by the city's western sprawl, while through other stretches it had by this time been severely damaged by quarrying and by the early industries that had set themselves up along the banks of the creek. The city quickly moved to buy up properties along the former stream course, creating road allowances over the sewer and setting aside other parcels for parkland. The purchase of the Christie Pits in 1907 set off a number of proposals for that site — the Commissioner for Street Cleaning sought to build an incinerator on the site, while Henry Tallett purchased a strip of property east of Crawford Street with the intention of erecting an armoury. The fact that the Pits had already been used by residents as an unofficial park before the city's purchase of the property helped to ensure that any attempt to defile the park with industrial uses met severe resistance, and so apart from making the creek disappear the rationalized Pits remain largely intact today. Later, the Shaw, Crawford and Harbord Street bridges that once spanned the ravine were each in turn encased in fill, again because the scenario presented a convenient and inexpensive alternative to more costly maintenance of their supporting structures. While convenience certainly played a role in all these decisions, there must also have been an element of disconcert and discomfort in the city's relationship to the space from which the creek had been vacated. Already deforested and now dewatered, the Garrison ravine became a pollution in its own right of the ordered and increasingly residential landscape that surrounded it, and faced with this unnatural hollow, the city's reflexive action was understandably to fill it in. It was only in 1908, after decades of delay, that voters finally approved construction, at great expense, of this cross-town interceptor system on the British model, which would sweep the city's sewage away to the east of the Harbour. While some early plans proposed that the interceptors should be run all the way to the Scarborough Bluffs, far from the city's existing drinking water intake pipe off the outer shore of the Island, fiscal restraint again restricted that vision, and the system of High and Low-Level Interceptors (run roughly along Queen and Front Streets respectively) was built only to an outfall and eventual treatment facility at Woodbine Avenue, just east of the port. These early interceptors were astoundingly small — despite running all the way from High Park, at Trinity-Niagara the High-Level Interceptor is a smaller diameter than the Garrison sewer it intercepts, while the Low-Level Interceptor begins as a tiny pipe south of there, just east of the Garrison Creek Sewer (at this point now reduced to functioning as an overflow sewer) at Wellington Street. Their inadequate size, stemming from fiscal constraints and a failure to anticipate subsequent patterns of urban development and household water consumption, simply shunted the problem of dealing with Toronto's rising flood of wastewater into future decades. 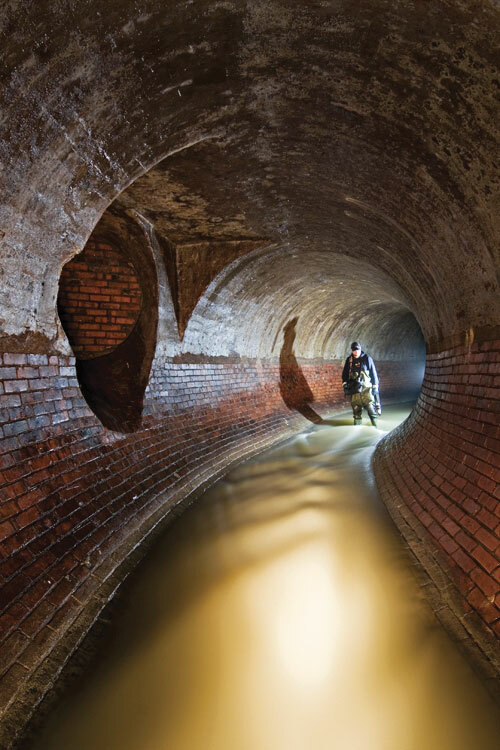 Accompanying the interceptor system itself were a number of other related sewer improvements. By 1912, the Garrison Creek sewer system gained a new, larger main sewer conduit running from Bloor Street to the High-Level Interceptor at Adelaide Street. This is the Garrison Creek Sewer that remains in constant use today, carrying the wash of daily life from the neighbourhoods west of the Annex to today's more extensive interception systems. In addition to that new Garrison sewer, a relief sewer was constructed from a point on that main conduit just north of Dundas Street to a new outfall at the foot of Strachan Avenue near where the Exhibition's Princes' Gates would be erected fifteen years later. This Garrison Creek Relief Sewer was designed from the beginning as an overflow sewer, collecting flows only during storm events when it would provide 'relief' to the overcharged Garrison sewer and to the grossly inadequate interceptor systems. 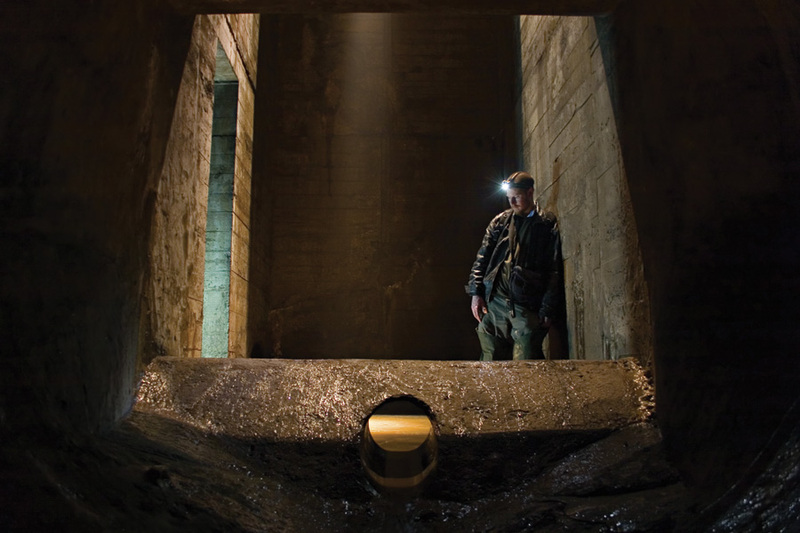 In place by 1912, it was also one of the first large concrete sewers built in Toronto: a three-meter tall concrete arch provided plenty of capacity to accept the upstream system's then-frequent overflows, while its designers probably chose to retain a brick floor to guard against its premature erosion. 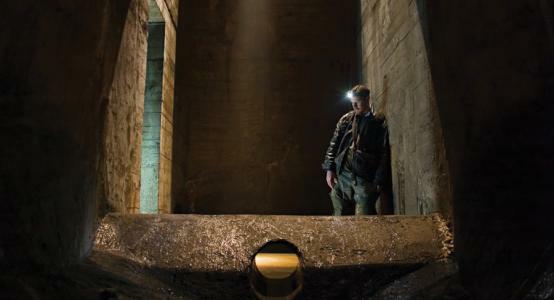 Thanks to discontinuous use and excellent construction, a hundred years later the Relief Sewer remains in extremely good condition. It was around this time as well that the presumably final section of Garrison Creek, flowing between Ossington Avenue and Bloor Street and passing through the Christie Pits, was enclosed as a sewer. The Pits (previously a sand and gravel quarry mining the banks of the Garrison Ravine) had been acquired by the city in a tax sale in 1907 and quickly converted into a park. Sometime after 1913, this final section of sewer was run through the park and northwest to Ossington Avenue. Built entirely of concrete, it flows just a few feet beneath the bottom of the Christie bowl — its effect on the growth patterns of the grass above can be discerned clearly on satellite maps. It is possible that some other fragments of the upper creek and its twin sources (the Humewood and Springmount Streams) may have survived on the surface into the 1920s, but these too were soon sewered by the City of Toronto and the adjacent Borough of York. After the completion of the interceptors and the final sewering of the main creek, it was fifty years before the Garrison sewershed saw further 'improvements'. While the 1920s and 1930s saw a golden age in the construction of other aspects of the municipal infrastructure, such as the Bloor Viaduct and R.C. Harris' Palace of Purification, the city largely ignored its sewer system during the Depression, the Second World War, and most of the 1950s. 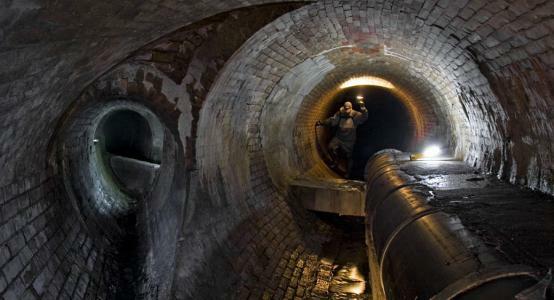 Finally, decay of the earliest sewers (some dating to the 1830s) and the general state of a system overtaxed by an increasingly paved watershed and new modern amenities like dishwashers and automatic laundry machines forced the city to action. By 1964, the Commissioner of Public Works R.M. 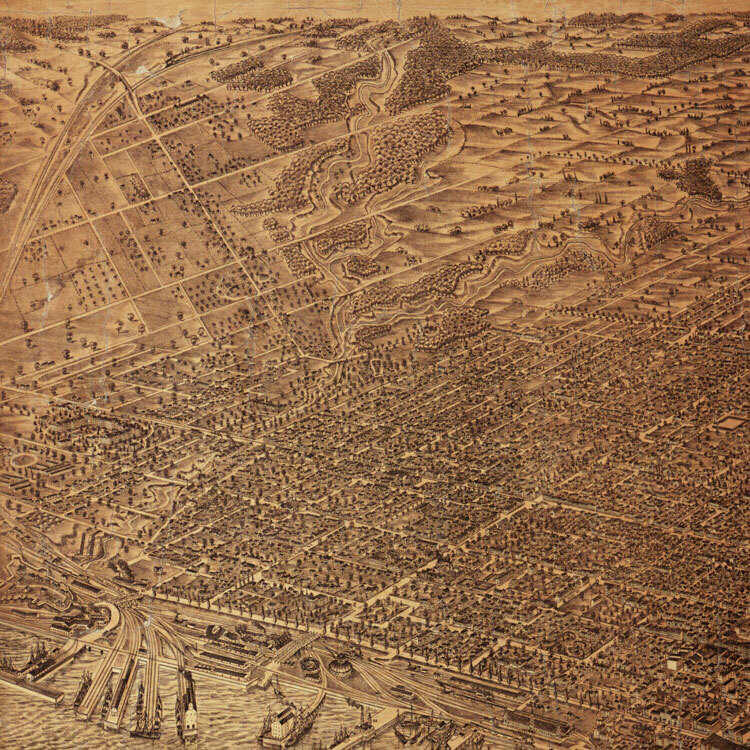 Bremner had embarked on a twenty-five year program of sewer improvements that included renewal of aging collector sewers in the older core of the city, sewer separation where total replacement of the local combined sewers made it fiscally appropriate, and the construction of new storm and overflow sewers to provide additional relief to areas of the system suffering from endemic flooded basements and other problems. This programme included the construction of two new storm sewers in the Garrison sewershed. West of the main Garrison sewer, a storm trunk sewer (already under construction in the early 1960s before the programme was officially adopted) was run from Davenport to an outfall just west of the Exhibition, below the foot of Cowan Avenue. This storm conduit, which we chose to call Pilgrimage on account of its massive vertical wall at the Bloor Subway, includes large overflow chambers to relieve the Garrison sewer's western tributary lines. East of the Garrison, a second storm trunk sewer was built in the 1970s and runs just east of Bathurst, more or less straight south from Davenport to the Bathurst quay. I call this one Measure of Emptiness. Both of these were deep, complicated excavation projects through mature neighbourhoods, and in many places had to be mined in compressed air to compensate for the poor soil conditions (much of lower Toronto is built on an extended strata of sand, clay and gravel that was once the near-shore shelf of the post-glacial Lake Iroquois and makes for difficult excavation). The 1960s also saw the transfer of responsibility for the city's interceptor sewer system and treatment plants (and the growing costs associated with them) to a new regional government, the Municipality of Metropolitan Toronto. 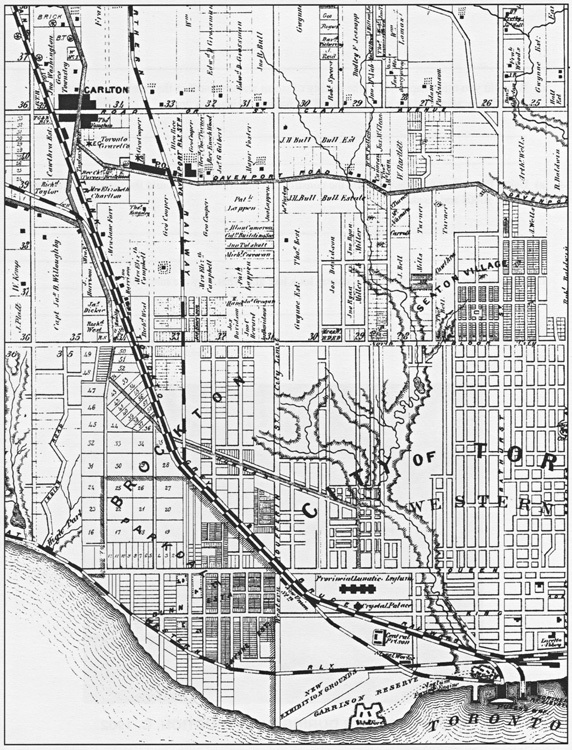 Among Metro's objectives was the rationalization of sewage treatment throughout the (initially twelve, and then) six boroughs that today form the amalgamated City of Toronto but were then still independent entities that had developed their own sewer systems largely independent of each other. Metro built new sanitary and combined trunk sewers to facilitate the closure of a number of smaller (and less effective) treatment facilities along the Black Creek and the Humber and Don Rivers, centralizing treatment of all sewage originating within and between the Humber and Don watersheds at three main sites: at the mouth of the Humber River, at Ashbridges Bay east of the Don, and at the more limited North Toronto treatment plant just below the forks of the Don. In exchange for allowing Metro to make use of its Ashbridges Bay facility, the then-City of Toronto was able to offload responsibility for maintaining and expanding the core interceptor system to the regional government. Metro thus assumed much of the cost of building a larger and more northerly Mid-Toronto Interceptor (MTI), which was necessary to relieve the older interceptors and was completed in the late 1970s. The MTI runs from the northeast corner of High Park along Dundas and Gerrard Streets to the Ashbridges treatment plant, and includes an interception facility for the main Garrison Sewer. In 2009-2010 when I was researching the Garrison sewershed, this diversion did not appear to be fully in use, with most if not all of the system's dry weather flow passing south through Trinity-Bellwoods Park to the High-Level Interceptor. It may be that, via automated controls, the MTI is only loaded here during wet weather, or it may be that a maintenance issue has forced the city to temporarily allow all this Garrison flow to continue south to the High-Level. Further inquiries are necessary to resolve this mystery. It is worth noting here that none of these interceptors has succeeded in preventing the regular discharge of sewage into the lake and riversheds during heavy storm events. Significant portions of the old City of Toronto, and parts of Etobicoke, York, East York and Scarborough continue to rely on legacy combined sewer infrastructure, like the Garrison Creek Sewer, that during significant storms is unable to carry the runoff of the city's built environment on top of its daily baseload of household and commercial wastewater. Even with the completion of the several hundred million dollar Western Beaches Storage Tunnel in 2003 — the most recent piece of interception infrastructure affecting the Garrison sewershed — overflows from the Garrison and other west end sewers remain a several-times-annual possibility. It is likely that sometime in the next half century it will be necessary to undertake a costly programme of remediation for the main Garrison Creek Sewer and the Relief Sewer, and that this may well involve the obliteration or encasement in modern concrete of the fascinating brick and concrete architecture of the current system. My intent in saying this is not to simply sentimentalize this infrastructure or to advance an argument that the tomb in which the creek is buried should somehow be 'preserved' unmodified. However I would argue that a conversation about how to approach the history and future of this water/sewershed would be a useful one to have, and that it is particularly important that we have this conversation before we spend tens or hundreds of millions of dollars that would serve to lock us (and the creek) into another hundred years of the same inertial approach to urban wastewater that cost us this watershed in the first place. 1. "Bridge to connect city to Fort York," Toronto Star, 16 Oct 2009. 2. Toronto Daily Mail, 21 May 1881: 8. 3. Catherine Brace. 1993. 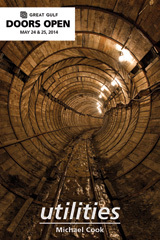 One Hundred and Twenty Years of Sewerage: The Provision of Sewers in Toronto 1793-1913. Masters Thesis, University of Toronto: 123. 4. Jon Harstone. 2005. Between the Bridge and the Brewery: A history of the Trinity-Bellwoods Neighbourhood in Toronto. Trinity Bellwoods Community Association, 38. 5. "The Drill-Shed Arbitration," Toronto Daily Mail, 17 Sept. 1889: 4. 7. Desmond Morton. 1973. Mayor Howland: The Citizens' Candidate. Toronto: A.M. Hakkert Ltd, 35; quoted in Brace 1993. 9. Toronto Daily Mail, 13 January 1885: 8. 12. Toronto Daily Mail, 14 Jan 1885: 6. 13. Brace 1993: 125. Browne was also commissioned to sewer Taddle Creek, Toronto's other semi-famous lost waterway, which once flowed through Queen's Park and Philosophers' Walk at the University of Toronto; see Jack Batten, The Annex: The Story of a Toronto Neighbourhood. Boston Mills Press, 2004. 15. Toronto Daily Mail, 25 Feb 1888: 14. 17. Daily Mail and Empire, 9 July 1900: 7. 18. Daily Mail and Empire, 12 July 1900: 7. 19. Carl Benn. 1993. Historic Fort York: 1793-1993, Natural Heritage/Natural History: 145. 20. Brace 1993: 150; Toronto Daily Mail, 8 December 1887: 2. 21. Brace 1993: 150, 153. 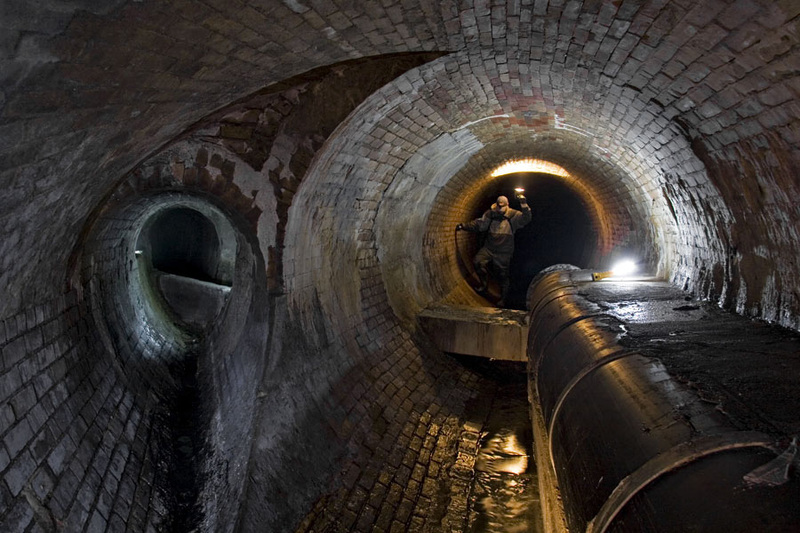 The Garrison Creek sewer system flows from Prospect Park, north of St. Clair Avenue West, south through the Western Annex, Little Italy, Bellwoods and Niagara, to overflow outlets positioned at the bottom of Bathurst Street and of Strachan Avenue. 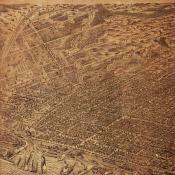 The initial system was installed in the 1880s, and expanded between 1910-1914. Additional stormwater sewers were added to the Garrison Creek sewershed in the 1960s and 1970s. Photographs are marked with a circle, click to open a popup on the map, click on the ensuing thumbnail to open the full version.